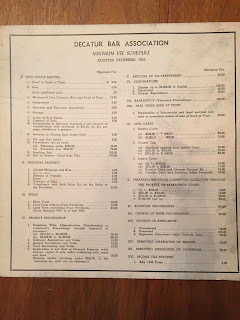 A faithful reader sent me this. 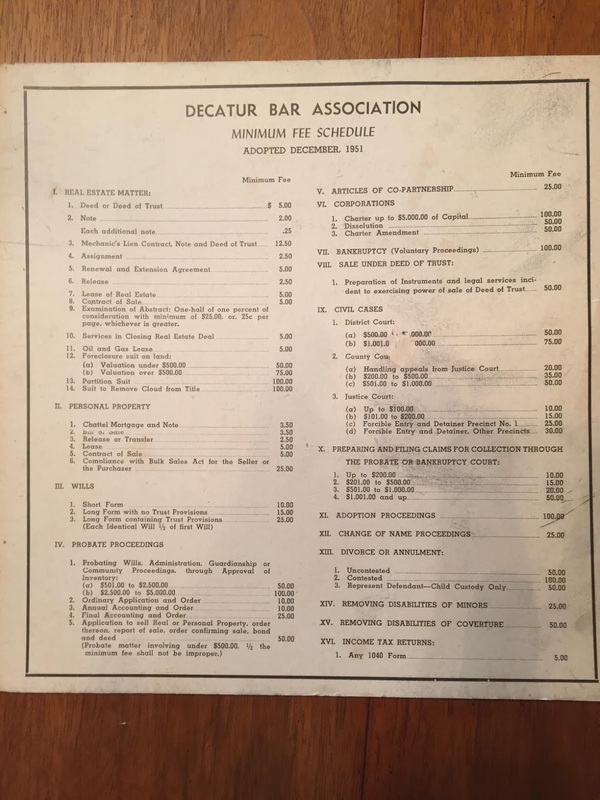 It looks like the local Decatur lawyers got together in 1951 (or earlier) and agreed on a minimum fee for routine matters in civil practice. And then they put the collusion down on paper.